Yoga For Runners: it provides you with a guided 16 minute pre run yoga sequence as well as a 14 minute post run yoga sequence. It also has stretches for runners. Strong Runner: it has warm ups and special workouts to help you avoid injuries. You also get 5k and 10k plans. Performance Stretching: one of the best stretching apps we have tested. 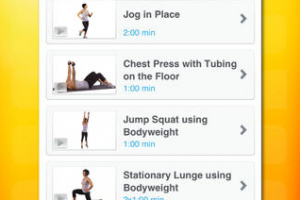 Whether you are into running or other types of workouts, this app helps you prepare your body with dynamic stretching. It has over 150 different stretches to keep you busy. Running on a daily basis may be great for your body. But you want to make sure your body is ready to handle tough training sessions. The above apps help you in that regard.